Chachi’s is a Manhattan-style sandwich shop providing premium quality and fresh healthy food options to its patrons. With a real awareness of the benefits of buying local, Chachi’s receives its fresh baked buns from local bakeries with the belief that you need a great bun for a great sandwich. Sauces and spreads are prepared from scratch and their passion continues with exotic spices, fresh produce and an honest effort to make the recipes in-house. 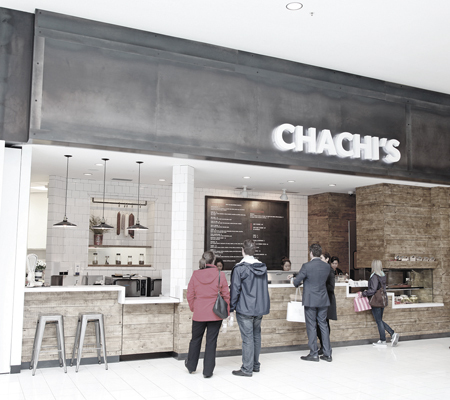 Drop by one of their 10 Chachi’s locations to taste the staff’s enthusiasm for the best ingredients with every bite in every sandwich.